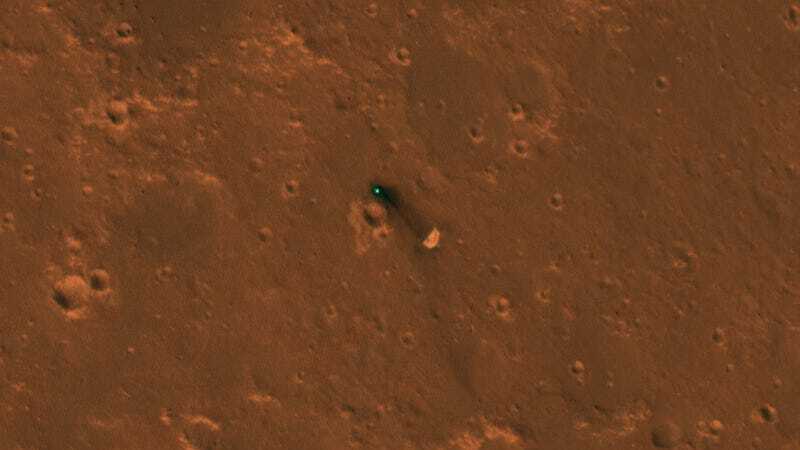 The InSight lander touched down on the Martian surface on November 26, with NASA scientists confident it had settled somewhere along an 81-mile-long (130-kilometre-long) ellipse chosen as an ideal landing zone. 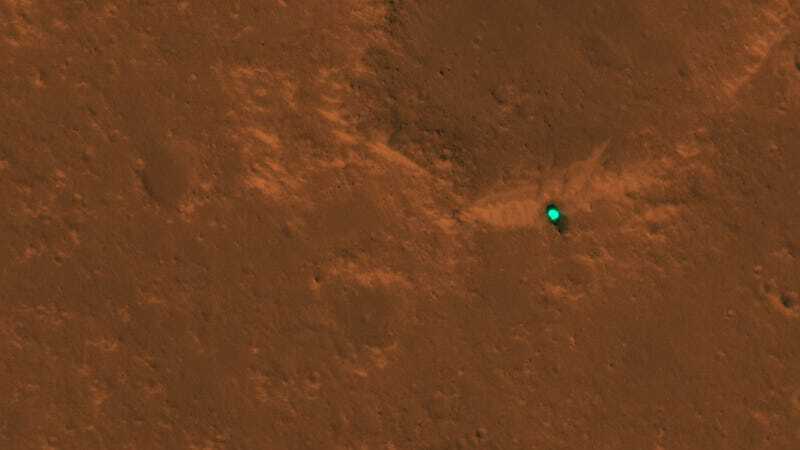 But it’s exact location within Elysium Planitia—a flat lava plain just north of the Martian equator—wasn’t known until now. Some of the objects in the photos have a teal-like hue, which isn’t their actual color. 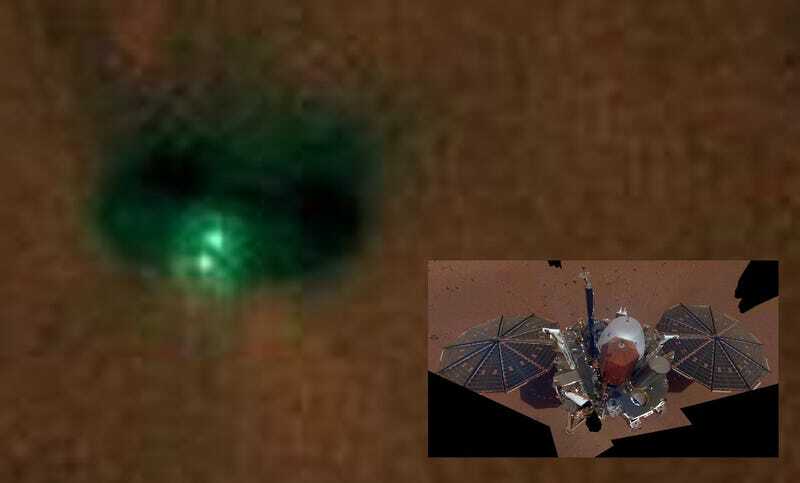 Light “reflected off their surfaces cause the color to be saturated,” explains NASA in a release. This effect is what’s known as a specular reflection.